This refreshing eye gel instantly revitalizes, energizes, protects, and hydrates tired-looking eyes. This eye gel formula delivers vitamin C in a medium concentration to brighten eyes, improve discoloration and skin tone. 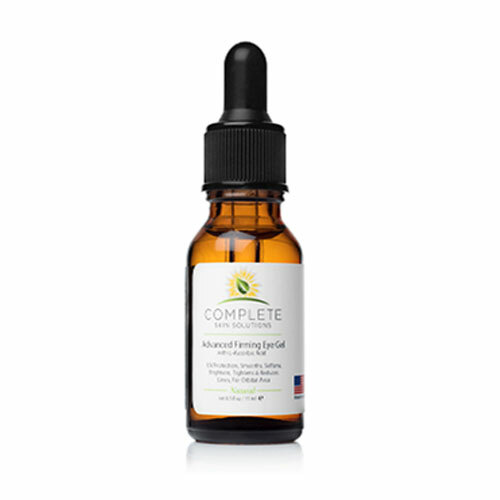 Potent antioxidants vitamin C and ferulic acid are precisely delivered to target first signs of aging beneath and adjacent to eyes. These age-fighting ingredients particular functions include providing protection against environmental damage, and UVA/UVB radiation (sun rays), and reactive oxygen species (ROS) by neutralizing free-radicals. 1% vitamin E (Alpha Tocopherol), and 0.5% ferulic acid which not only protects your skin from free-radical damage, but increases collagen synthesis and cell proliferation of protein fibers which improves the structural integrity within your skin.